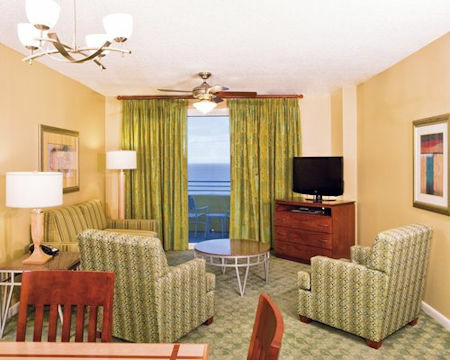 Wyndham Ocean Walk in Daytona Beach, Florida - Buy a 7 Night Stay in a 1 or 2 Bedroom Suite! 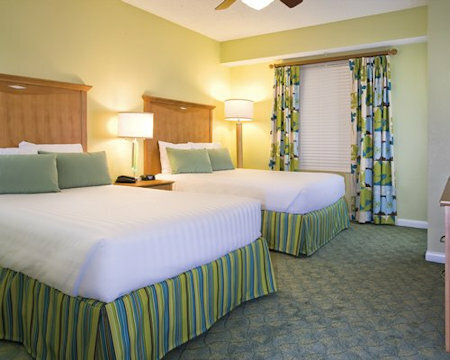 Enjoy a 7 Nights Stay at Wyndham/WorldMark Ocean Walk in Daytona Beach, Florida! 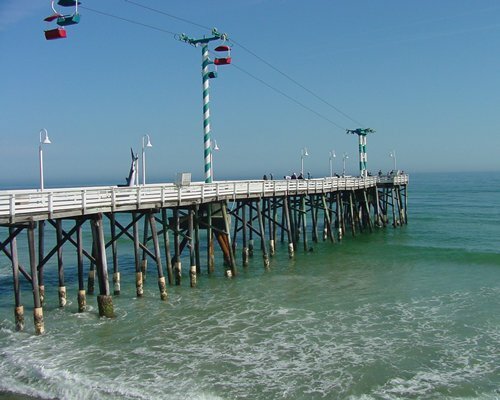 The Wyndham Ocean Walk offers so much more than the typical beachfront property. 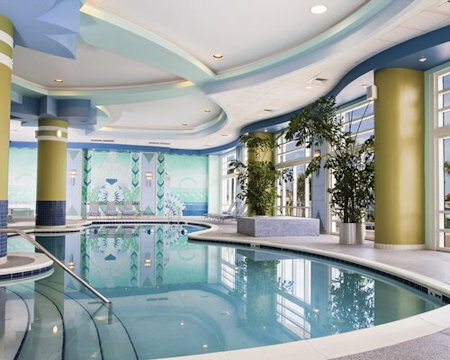 Here guests enjoy direct beach access to go with a seemingly endless array of amenities, including: a full-service food court, lobby bar, exercise room, indoor pool, arcade, gift shop, golf simulator and activities center. 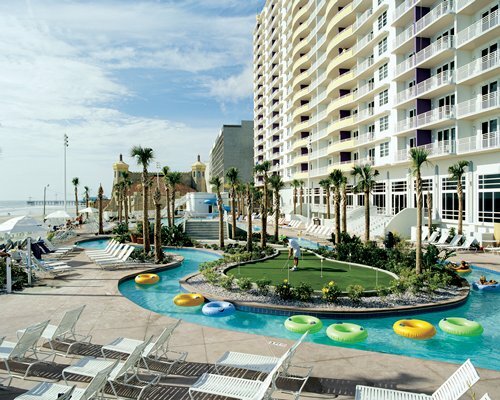 Wyndham Ocean Walk also offers an outdoor pool, Jacuzzi, lazy river, and waterslide. The resort features a full-service banquet facility for large groups and an in-house chef. Adjacent to the property is Daytona Beach's newest Ocean Walk Shoppes and Theatres, Bandshell Amphitheater, and Boardwalk. 2 Bedroom Suite: This unit sleeps up to 8 people and has a full kitchen. Due to limited parking, only one space per unit is allowed. More parking is across the street at the Volusia County garage costing $12-$20 USD per day, based on demand. Their phone number for rates is 386-238-3110. Units are non-smoking. Pets are not allowed.